Are Asperger’s*, anorexia and psychic ability connected? I think they could be. Here’s what I’ve explored, so far. I dedicate this series of posts to anyone reading, who wishes they were a mermaid underwater, a tree in the forest or a star in the sky, just so that they could finally feel at home. I include many resources for ‘Aspies’ in Part 2 of this blog so keep reading. *In 2013, Asperger’s Syndrome was folded into the diagnosis of autism spectrum disorder (ASD), however I have used the term, as it’s well known, and associated with having a large vocabulary and no significant language delays. Please note: this post is a work in progress and is not medical advice. Although I have been treated for anorexia and work as a psychic and Holistic counsellor, I haven’t sought a diagnosis of Asperger’s yet. I’ve made inquiries but still feel scared of being judged! The cost is $600+, plus I’m still exploring links between eating disorders, zinc deficiency, pyroluria and nutrition. It’s taken me 125+ revisions and a year, just to put this post up. Trigger alert: this post discusses anxiety, suicide and depression – if you need help, please call Lifeline on 13 11 14. In numerology, 2019 is a 12/3 Universal Year of Inner Child Healing. Many people will reclaim their innocence now, especially from July 2019, a time of new beginnings (and Universal 1 Month). It’s time to shed unhelpful labels, self-criticism and energy vampires (people or thoughts, which rob you of your inner peace). 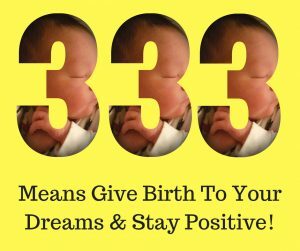 The near-final draft of this post was 3332 words long – so funny, as 333 is the Angel Code for positive change and (solar plexus/ 3rd chakra healing) – see this post. In April 2018, I hired Naomi Berg (from Purple Skirt), as my personal trainer in Brisbane. 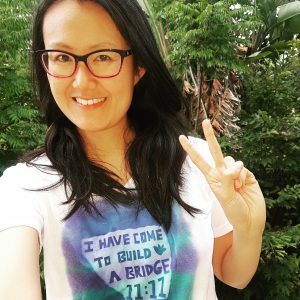 Naomi is a profound and gifted 40/4 Heart Healer, who is currently 40, her lifepath turning point age. Find your lifepath. Naomi went through multiple miscarriages to become a mum, which she talks about in this podcast with Jen Lean. In some ways I can relate, because I recovered from anorexia and trauma to fall pregnant in 2015. That said, it’s still a daily battle for me to stay well. I often tell my clients or students to study people with their lifepath, so they can find their way faster and easier. FYI, I list famous people in my lifepaths webinar and on Find Your Lifepath. The night of my session with Naomi, I Googled Hugh Jackman, who has similar numerology to me. He’s someone I really admire. Both our birth names have a 76/13/4 Destiny, meaning that we are good speakers, but must find the courage to pursue our ideas – for more on name numerology, see my names webinar). The more I read about Hugh, the more spooky things got…like me, Hugh wanted to be a journalist, studied drama and had a parent suddenly depart (see this post on my Dad). Plus, he is a 28/10/1 Action Hero lifepath (like my husband Kris Anderson), while I’m a 29/11/2 Spiritual Messenger. So, we’re both learning to be pioneers (1 energy). FYI see Hugh’s rendition of ‘This is Me’ with Keala Settle below – Keala is a 29/11/2 lifepath and this song is truly inspiring. Hugh sang that day to make sure the film got funded (after years in the pipeline), despite doctor’s orders not to. While singing, he burst the stitches in his nose (you can see the bandage in the video) and had to have them redone afterwards. Owch! That’s commitment. So, while reading about Hugh’s activism, I came across the stories of Cassidy Trevan (born 4/5/2000) and Dolly Everett (born 1/5/2003). They were both beautiful, sensitive teenagers who suicided due to bullying. When I added their dates of birth and realised they were 11/2 lifepaths like me, my heart stopped. Then, an article came up about the high suicide and depression rates in people with autism and something clicked. I often stared out the window as a child, wanting to jump but not doing so, because I knew I had a mission (years later, at my lifepath age turning point of 29, I discovered that other relatives of mine had died in the same way – perhaps we have a predisposition to leaps of faith and/ or jumping to unfortunate conclusions). At this stage, I was sitting on the floor, floored. Every article I read on Asperger’s had me nodding. After hours of Googling, I suspected that something ran in my family. Social and communication difficulties, anxiety, depression, detail-focus and a tendency to have obsessive interests? That’s our modus operandi. Spirit led me to this piece – Are Autistic and Psychic People Similar? It’s about a New York attorney and psychic detective, which got my attention because I’m a scientist who’s now a numerologist. I got goosebumps of recognition. Then, I found The Invisible Link Between Autism and Anorexia, which talks about anorexia as the female Asperger’s. Talk about lightbulb moment. No wonder I found one-on-one counselling easier than group therapy. I pick up on people’s vibes and that can be overwhelming at times. Wow. I felt like all the breadcrumbs made sense. My earliest childhood memories are of stimming (stroking pillowcases, chewing pencils, picking my skin or nose, rolling my eyes, flapping my arms and so on). I remember reading Temple Grandin’s book, Animals in Translation and relating to her hug machine/ squeeze box, as that’s something I created as a child (putting myself between mattresses and asking kids to jump on me). Plus, when I ran meditation in Brisbane, my fave attendee was a man with Asperger’s who said that he felt relaxed for the first time in decades after we chanted Wahe Guru by Snatam Kaur. I also recall arguing with members at a vegan society meeting, over someone who was unwell but adamant about eating vegan (looking back, I’m sure he had pyroluria and/ or Asperger’s). It still bothers me when spiritual teachers (‘white-light-washers), tell their followers that their dietary approach is the only way to enlightenment. Puh-lease. FYI, although eating animal products has been essential for my recovery from anorexia, my husband is a vegan/ vegetarian. Tony’s website lists Asperger’s characteristics in children, plus a page on Asperger’s in women. I went through all this info in detail, writing pages and pages of notes. In doing so, I forgave myself for a lifetime’s worth of failures. As a child I fit 100% of the criteria on Tony’s page. At school, I was an awkward, bullied child prodigy with a huge vocabulary and few friends. I had no idea what sarcasm was and got into trouble for being too literal. I had sleeping, eating, anxiety and anger issues and trouble explaining myself. I experienced chronic hayfever, nosebleeds, stomachaches, constipation, cystic acne and have had lifelong eczema. I never felt calm until I learned meditation in drama class at 14 and self-hypnosis to stop panic attacks at 18 (during my final exams). You Asked For A Book on What?! Honestly, I was the kind of kid who just wanted to grow up and leave home. The way I coped with waiting for liberty, was to lose myself in books – specifically, stories about true crime, ghosts, joke collections, facts (Guinness World Records), and anything by Stephen King or Wilbur Smith. I also loved propagating plants and collecting rocks. True story – at my request, my Dad (who is an engineering genius and pretty unusual himself), bought me a book on serial killers for my 10th birthday. My favourite gift growing up wasn’t a toy, it was a lock that he put on my door, so that I could keep others out. Oh dear. On the up side, I have a great sister, who used to help me deal with emotional upsets and bullying, even though she’s younger than me. After starting this article, I watched a video of myself at eight. That was when I went from being happy to withdrawn (someone suicided in my family and it was never discussed). I look like I’m wearing a mask – totally numb. I spent many hours playing video games from that age, trying to relieve my frustration. Even now, I still go for long periods of time keeping my feelings inside. This can be confusing for people, as I smile a lot (perhaps because my Dad’s a photographer and I’m used to cameras). I wonder if this is common in people with Composite Whorl fingerprints? I call this print, the 11:11 Starseed marking – fyi, Starseed adds to 28/10/1. They tend to be sacrificing types, who forget self-care unless they have people around keeping them accountable. –I am fascinated by numbers. Well, I am professional numerologist in Brisbane who talks about 11:11 and was a scientist. –People often tell me that I keep going on and on about the same thing. Kris and I had counselling with Caroline Byrd, about how I’m a workaholic, who always takes photos of 11’s. The day after I said I’d slow down, I Googled ‘Bomb the World‘ by Lifepath 29/11 Michael Franti, and the uploader was 1111Shary1111! As an adult, I’m still far out (I make a living studying repeating numbers), but definitely have less Asperger’s traits. I’m guessing this is because I eat differently (my diet used to be junk food, now I cook a lot and am gluten and dairy free). Also, I meditate, do yoga, get lots of cuddles from my husband and children, have studied Holistic counselling and many personal development courses. I have left behind my Christian upbringing (which always perplexed me with its black-and-white judgements of character and morality). Plus, I live in sunny Queensland and no longer have the stress of parental conflict, an office job or high school classroom. Most of my clients are very relaxed people with a great attitude, so I’m onto a good thing. Dr. Tony Attwood hit a nerve for me when he said that going to school is hard enough for normal kids, let along autistic ones, who are trying to interpret people’s facial expressions and social cues as well. I went to a selective high school called James Ruse in Sydney, which was a pressure cooker of mainly Asian students, all wanting high scores for University entrance. I had many good teachers there, but also felt stressed. Most of my lunchtimes were spent hiding in the toilet, library or with 1 or 2 quirky friends. These experiences have given me compassion for the alienated. No wonder I’ve done so much charity work. In the year that’s passed since I met Naomi, I’ve never felt more alive or emotional. It’s like I’ve finally started looking in all the right places for my inner peace. No wonder I specialise in helping sensitive people find their confidence, as it’s the journey I’m on as well. Although part of me wishes I had come across this information earlier, I don’t think I was ready for it, to be honest. I would have just used it to judge myself even more. I still wonder if I have Asperger’s, or if I am just an empath who’s been around a lot of people with Asperger’s? Or something else? -I’ve stopped thinking of myself as an incompetent person without common sense. I’ve realised I just have different gifts and strengths. I’m like a human giraffe, with a big heart and long-range vision, who bumps into furniture because of their lankiness (thanks for the inspiration, Motivating Giraffe). After all, I am nearly six foot tall. Whoa – as I typed that, my son was watching Bob the Builder and they said ‘we just got a new giraffe’ (!) Confirmation. -I’ve started using Google Maps instead of reading directories. I did a whole Geography degree to prove I could navigate, but all that happened was I flunked mapping and aced the essays. Thank goodness for the GPS Girl Karen Jacobsen and her lovely voice (see her psychic reading). -I’ve asked my husband to give me 30, 15 and 5 minute warnings so we have a better chance of being on time for appointments (a work in progress). -I ask my husband to make food for me when I’m feeling low (he is an amazing cook). He’ll often sit with me to make sure I finish my meals as well. -I no longer go to events where there are intense noises, smells or highly emotional people (unless I’m in a good mood and have the next day off). -I’ve installed Acuity scheduler for psychic reading bookings after years of procrastination, so I don’t have to keep checking my email. 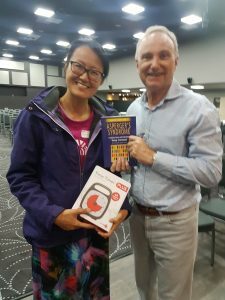 See this post about my money coach Lotus Kruse, she’s helped me to branch into webinars, events and coaching packages to help me be more productive. -I’ve found a bookkeeper, Barb, also a 29/11 lifepath Spiritual Messenger like me. -I’ve prioritised phone and Zoom calls because they allow me to work from home, without needing to get dressed up or leave my kids. -I have reduced time on social media because I feel drained if I compare myself to others too much. -I no longer feel bad about sending calls to voicemail and working by SMS. I need time to think about my replies and don’t do well with distractions. -I’ve honoured my need for trust-filled, long-term relationships by asking new clients to commit to 2 or 3 readings upfront. -I stopped apologising for long blogs, because wordiness is my nature. I don’t need to keep shrinking to fit other people’s standards. -I stopped feeling bad about the jobs I failed at and feel grateful that I found a career where I’m paid to tell the truth. Seriously, I used to work for Government and get into trouble for being too honest e.g. once I wrote that a Minister called someone stupid…that’s a big no-no in bureaucracy. -I’m applying the ideas from the book, Aspergirls by Rudy Simone (another 28/10/1 Pioneer lifepath) – apparently, many people with Asperger’s experience periods of unemployment, self-employment and/ or singleness due to their personality types. It’s important that they invest their time, energy and money wisely so they can afford the therapies and lifestyle that will keep them healthy. For example, I thrive when I eat organic food (Spray-free Farmacy) and drink spring water (Montville Mist). -I’m focused on co-creating with my husband, whether it’s parenting, having fun together or doing combined psychic readings. It’s easier for me to work in a team than alone. I’m finally learning to accept help from those who care about me. -I’ve strengthened my circle of friends, healers, counsellors etc. whom I talk about in this post, why high flyers need a safety net. -I allocate half or full days to spend with my kids or husband, as constant clock-watching is exhausting. I like to go deep into bliss. -I’m applying the principles of Attached by Amir Levine, M.D. and Rachel S. F. Heller, M.A. – wow, is this book an eye opener on intimacy! I’m also a fan of D.I.S.C Profiling (I’m high I & C), the Five Love Languages (see this post on Words of Affirmation),Touching by Ashley Montagu (one of my favourite healing books ever) and Skip to My Lou parenting. Conscious and attachment parenting (of kids and myself) is so kind. -I’ve accepted that I attract the occasional energy vampire, narcissist, psychopath or can-opener relationship, because I take people at face value and expect integrity. These days, I ask my husband Kris for a second opinion when I think someone’s manipulating me, as he’s got an amazing BS-detector. -I’m making coconut kefir (see Kultured Wellness) to heal my gut/ thinking and have returned to gym sessions, yoga and ‘tree-time’. -I’m learning to swim with Zena from Funshine, in her Magna Pool (which doesn’t trigger my eczema). This is a lifelong dream of mine and calms my nerves. -I’ve prioritised naps, early bedtimes and a daily Detox Relationships meditation to reduce ‘meltdowns’. Weirdly, my last Christmas photo involved me holding a sign saying, ‘I’m having a meltdown’. It was a joke about snow but that’s also what people with autism call their breakdowns. Keep reading! See Thoughts on Asperger’s Syndrome, Anorexia and Psychic Ability – Part 2 of 2 for more tips, including a numerology take on Asperger’s Syndrome and autism, the link with anorexia and psychic ability, what I would say to my younger self, the synchronicities behind this post and a detailed list of links.